Keep reading to learn more about renters insurance and how people view it. The average renter throughout the United States pays $190 per year for renters insurance. That comes out to around $16 per month. How much is renters insurance for a house? Renters insurance doesn't differentiate between houses and apartments. It's what you have inside that matters. 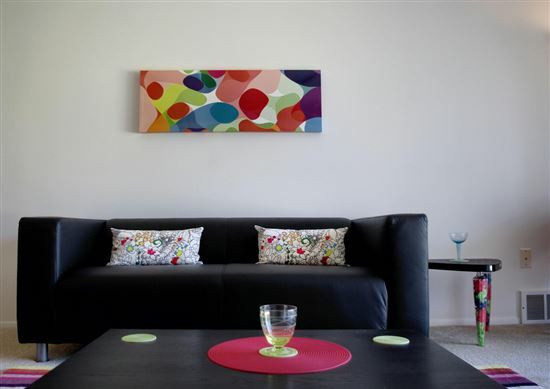 Typically, renters in a home have more belongings. They have more furniture to make it feel like home. They may also have more personal belongings, such as clothing, jewelry or electronics. 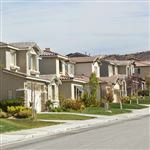 This could increase their renters insurance to the higher end of the average ($190/year). Renters in an apartment may have fewer items. There's also less space for visitors to get hurt. This could decrease the amount of coverage for personal items as well as the liability coverage you need. You may find that renters insurance on an apartment is at the lower end of the average, around $150/year. How much is renters insurance for college students? There's good news for college students under the age of 26. You may have coverage for your personal belongings while you live in campus housing. Your parent's homeowner's insurance policy may cover your belongings. Make sure you read the fine print, though. Off-premises personal belongings coverage isn't the same as personal belongings coverage. Many insurance policies offer 10% of the full coverage for off-premises belongings. If you have $150,000 in personal belongings coverage, only $15,000 would cover the belongings in your dorm. If you live off-campus, though, you'll need renters insurance like any other renter. This means an average of $12 - $16 per month. Which state has the highest cost of renters insurance? Mississippi has the highest renters insurance costs in the U.S., at $262 per year. That's just about 37% higher than the national average. Which state has the lowest cost of renters insurance? Residents of North Dakota typically pay 40% less than the national average. Typically, residents in this state pay around $114 per year, or $9.50 per month. Renters insurance typically covers your personal belongings, such as the items you have in your home that could be damaged or stolen. Think of things like your television, furniture, and clothing. What would happen if you had a fire or they were stolen? Renters insurance could provide funding to help cover the replacement cost. In some cases, it may cover the cost of someone getting hurt on your property. It may also cover living expenses if your home were to become unlivable. Most renters insurance policies do not cover natural disasters, such as earthquakes or flooding. They also don't cover damage caused by pests or rodents. You'll also need a separate policy for high value items in your home or apartment, such as jewelry. Is renters insurance required by law? There is no law stating you must have renters insurance. However, read your lease carefully. Many landlords require it in order to protect themselves. It's expensive for landlords if someone has an injury on their property. Their property could also be at risk of damage from your belongings. Your renters insurance could cover this loss. If you experience a loss, you report it to the insurance company. They will then reimburse you for the loss based on your policy. If you have actual replacement value, you'll receive the depreciated value of your items. If you have replacement cost coverage, you'll receive enough financial reimbursement to replace the item at today's cost. Just how much coverage you need depends on what you have and what you want to protect. Talk to your agent about your belongings, especially the high value items. Also discuss the liability coverage you want. Don't underestimate the cost of someone getting hurt in your rental. Your liability coverage should cover medical bills as well as potential lawsuits. Liability coverage is usually pretty affordable. It often only raises your premium a few dollars a month. This is in exchange for thousands of dollars of protection. What is the average renters insurance deductible? Each insurance company and policy has different deductibles. But the average deductibles are usually $500 and $1,000. If you file a claim, you'd have to meet the deductible before any compensation would be provided. Do pets cause your premiums to increase? Depending on the breed and where you live, you may need a separate policy or rider on your renters insurance. Many pets are included in the standard policy, but every municipality is different. The additional coverage generally covers the risk of damages or injuries certain breeds may cause. If you read your renter's policy closely, you'll likely see sub-limits for certain items, especially jewelry. Know these limits because the jewelry you own may not be covered. You may want to add a rider onto your policy to cover the real cost of the jewelry you own. Should you get actual cost or replacement cost coverage? Actual cost renters insurance may cost a few dollars less each month than replacement cost, but it may be worth it. Replacement cost gives you enough financial reimbursement to cover the cost of buying the product today despite depreciation. Actual cost takes depreciation into account. If you owned an item for several years, you may not receive enough reimbursement to replace it at today's value. How many renters don't have renters insurance? Only 41% of renters have renters insurance versus 95% of homeowners who carry insurance. 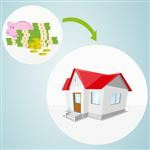 The difference could be the requirement mortgage companies have of their borrowers to have proper insurance in place. How many low-income renters have renters insurance? Only 25% of low-income renters carry renters insurance. Unfortunately, renters in low-income areas are often more susceptible to being victims of crime. This makes the need for this insurance much higher. How many high-income renters have renters insurance? 69% of high-income renters have renters insurance. For this study, high-income renters were defined as those making $75,000 or more per year. What's the top reason people don't get renters insurance? Of the almost 60% of renters who don't have insurance, expense was the top reason. 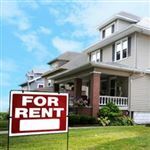 Many renters mistakenly assume their landlord's policy protects them as well. The average $16 per month these renters save could cost them hundreds of thousands of dollars in the face of disaster. Does your landlord's policy protect you from loss? Your landlord likely has insurance, but it has nothing to do with you. The landlord's policy covers the structure. It likely covers the interior and exterior of the property. However, it does not cover your personal belongings. That is what renters insurance covers. Is landlord insurance required by law? Landlord insurance isn't required by law. However, without it, you could find yourself in serious debt if damages occur. Standard homeowners insurance does not cover rental properties. How many people rent homes? More than 81 million people rent homes or apartments in the United States. What's the key to a successful renters insurance claim? Filing an insurance claim is kind of a “he said, she said” type scenario. If you don't have proof of ownership of big-ticket items, such as televisions, computers, and jewelry, you may not receive reimbursement for them. Keeping a home inventory checklist and photos of your items can help speed the process along. Renters insurance might seem like another pesky expense, but it's often well worth it. Protecting yourself against severe losses can make the $190 well worth the sacrifice. Share on Facebook "Average Cost of Renters Insurance Will Shock You"